A GPA or grade point average is the calculated average of the grades a student earns in his or her examinations. The scale normally follows the points from 0 to 4.0 or sometimes 5.0. 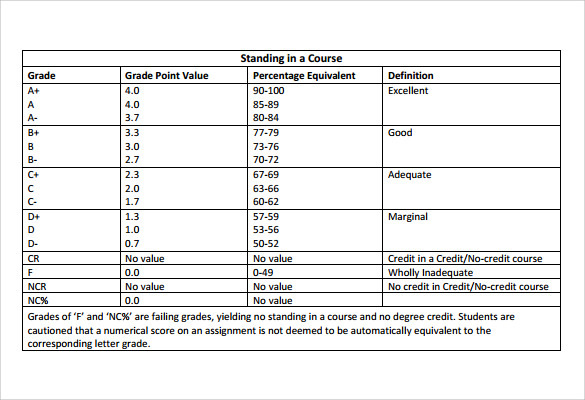 In each semester, a student earns a GPA based on the overall grades from that semester examinations. GPA sometimes cumulated throughout the duration of the complete course in the high school. 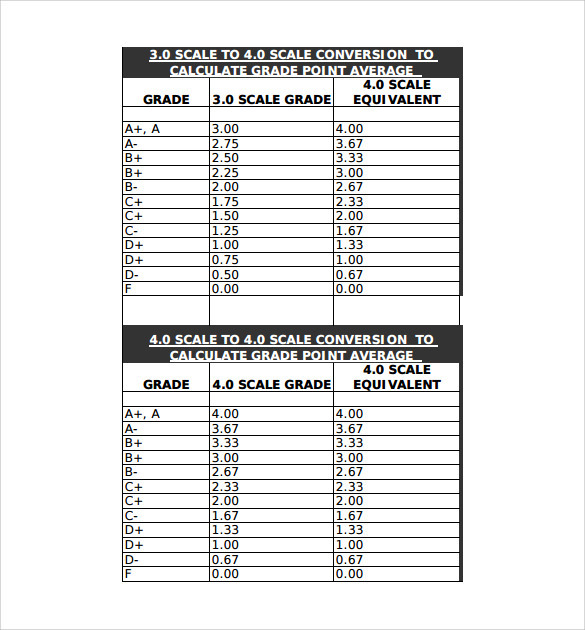 These Chart Templates helps to interpret the marks or grades actually obtained in the different examinations and events that are averaged at the final result. It is the common system of judging a student’s academic performance throughout the USA. 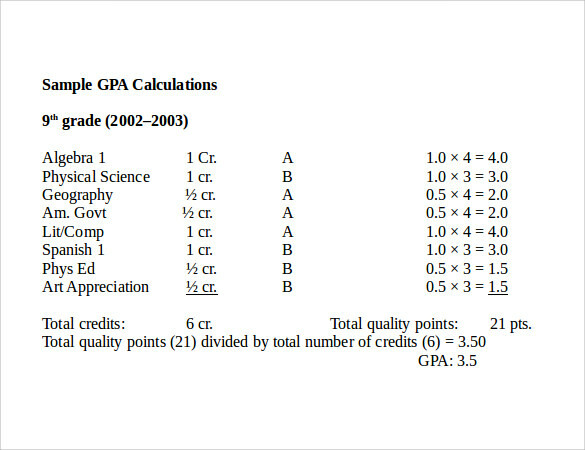 This is a GPA chart template that can be easily accessed and downloaded from the internet. The user can get it in the form of word document. The user can exhibit a good bulk of information with the help of this theme and that too in a neat and structured manner. The users can get this theme and can employ it to exhibit the grade scale or charts of students in schools, colleges and universities. The education institutes can create a fair and transparent marking system with the help of this theme. 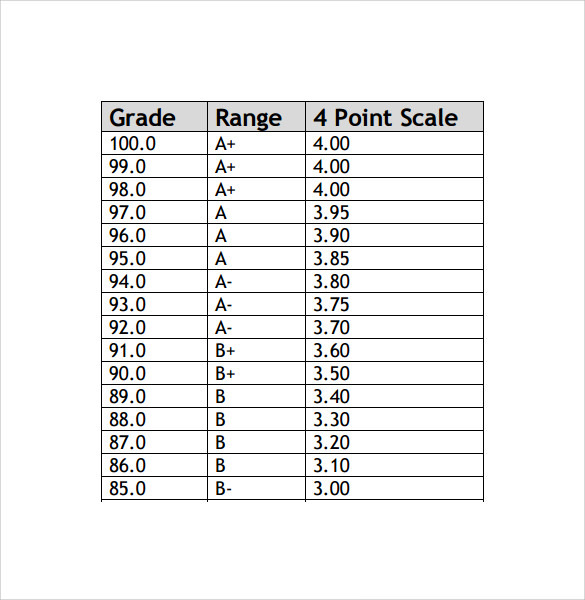 This is a grade chart template that has a very neat and simple format. The theme is very formal in appearance and is devoid of any extra frills. The students and also the teachers can follow the structure of the format very easily. The theme is print ready. The theme is perfect for the creation of a GPA Chart. The theme is fully editable. The user can customize and change the contents as required. The theme is also SEO compatible. 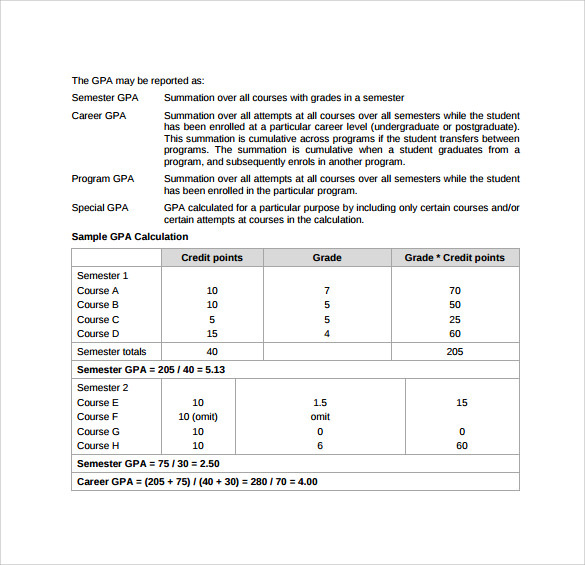 What are GPA Chart Templates? These formats are professional designs that can help the teachers and the management of the education institutes to create a marking and a grading system that shall not juts establish a system in the educational institutes but at the same time they shall also help the teachers o assess the growth and development rates of their students in the most appropriate manner. You may like Process Chart Templates. 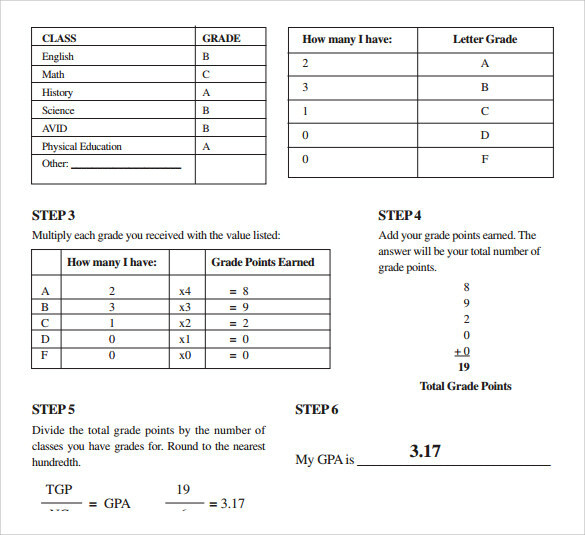 Who Can Use These GPA Chart Templates? The teachers and the professors who teach the students and later take their examinations are the people who can easily use these charts so that a proper and a simple and easy to follow grading system is established. At the same time the authorities of the central examination and publics service commissions can also make a good use of these templates. You can also see BMI Index Chart Templates. The themes are professional and ready to be employed. The themes have a simplicity for which everybody can use and understand them. Hence due to their generic structures all types of institutes can use them. The templates are built with a wonderful resolution ranges. As a result the user can get very good quality printouts. The themes are hence perfect for being used for the professional or formal purposes. The templates are provided with a great attribute of customization. The user can upload new information and can change any information if required. This helps the user to become more productive with the use of these templates. The themes have responsive features. The helps to save a lot of time and extra work and effort on the part of the users. 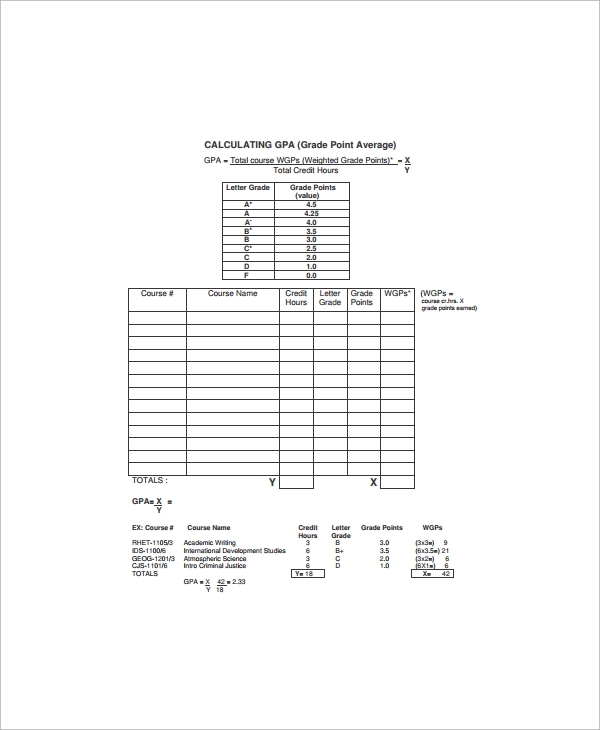 The GPA chart templates can be used for the purpose of making super effective grading charts for different types of educational institutes. The themes are professional in their designs and needs to be employed for better productivity of the user. They are easy enough to be employed for any educational levels.